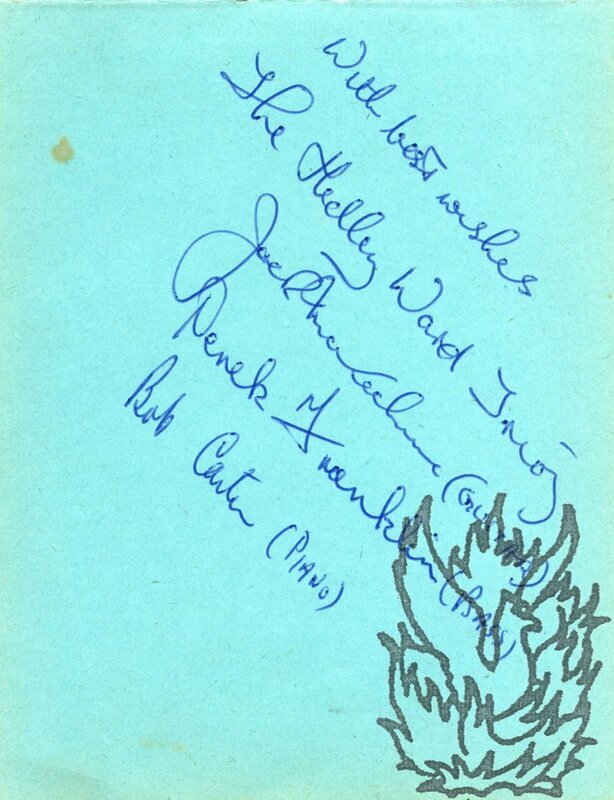 The Autograph Signatures of the members of the Hedley Ward Trio. 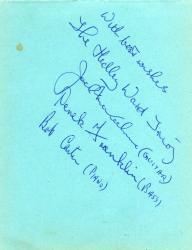 On a leaf of blue paper (roughly 11 x 14 cm), removed from an autograph album. Good: lightly aged and spotted. Reads 'With best wishes The Hedley Ward Trio | Jack Mckechnie | Derek Franklin | Bob Carter'. Docketed, presumably by the recipient, with the members' instruments. Hedley Ward was one of the foremost British bandleaders of the 30s, 40s and 50s, and his Trio featured in many radio and television broadcasts, and are still to be heard on archive programmes.